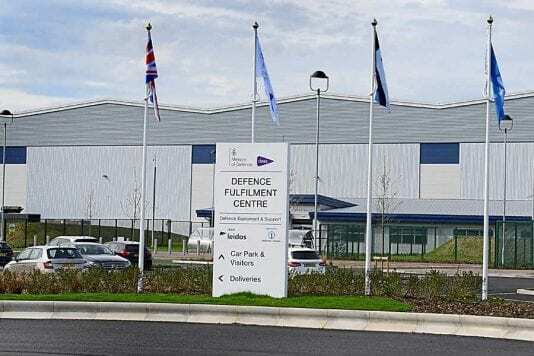 Last week, Leidos, together with the Ministry of Defence (MoD), unveiled an £83 million state-of-the-art military logistics hub alongside MoD Donnington in Shropshire. This Defence Fulfilment Centre (DFC) is an 80,000 square metre facility that will store supplies for the UK Armed Forces and will ensure that the logistics and support services for the Forces are brought up to the standard of industry best practice. It will mean troops have everything they need, when they need it. The DFC will be operated by Team Leidos, made up of specialist partners including Leidos, Kuehne+Nagel and TVS Supply Chain Solutions. Prolinx will be providing networking services to the DFC as part of our engagement with Kuehne+Nagel within Team Leidos.